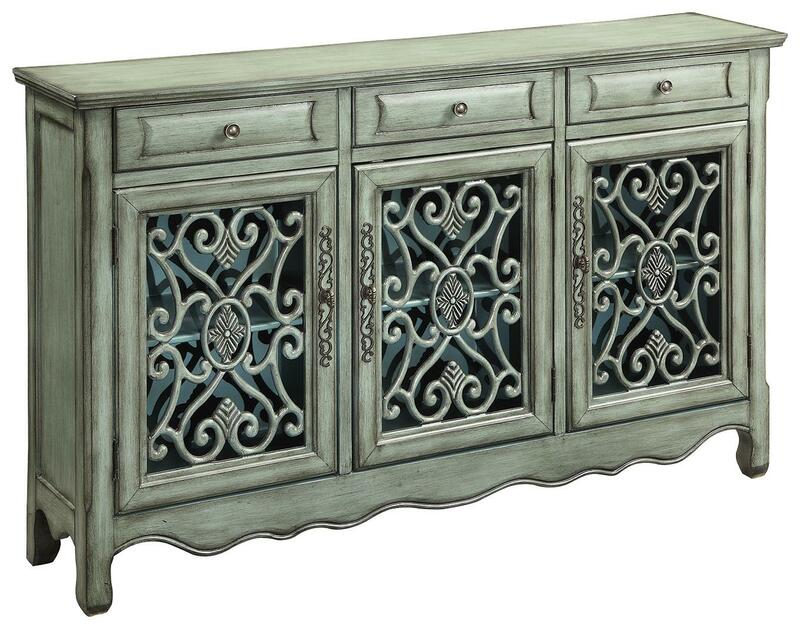 A stately storage piece for your decor in a living room or foyer, this traditional accent cabinet in an antiqued green finish has full extension drawers, bronze color hardware, and doors with a decorative grille. The cabinet's shaped apron adds a finishing touch of classic design. The Accent Cabinets Traditional Accent Cabinet in Antique Green Finish by Coaster from Nashco Furniture - Nashville. We proudly serve the Nashville, Franklin, Brentwood, Clarksville, Green Hills, Davidson County, Williamson County, Tennessee area. Product availability may vary. Contact us for the most current availability on this product.